Al Safat American Hospital will be a premier private hospital accommodated in twelve floors. The building was completed in mid 2008 but is currently awaiting an opening date. This 120 bed general hospital will provide a range of outpatient and inpatient facilities. 30,300m2 in area the hospital incorporates the latest in medical equipment technology. The hospital will have an integrated HMIS and has the intent of being as paperless as possible. Medical records will be kept in electronic form only. The hospital will be managed to JCIA standards, and will seek an affiliation with an American institution, yet to be chosen. The outpatient facilities will include a range of 46 consulting rooms, dedicated sub – units and an emergency section. 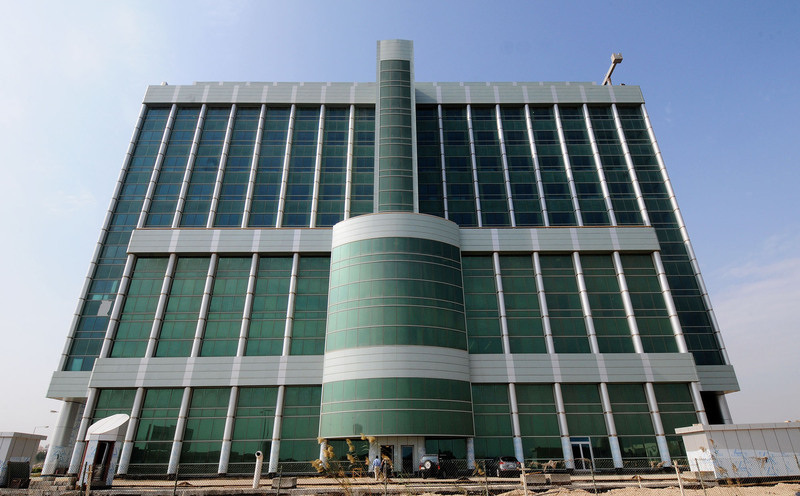 A comprehensive radio – diagnostic department is fitted with MRI, CT-scan, fluoroscopy and general x-ray rooms. Also a Day Surgery Unit is provided with separate endoscopy rooms and units for dental care and physiotherapy. Inpatient facilities comprise 80 Patient Rooms, 12 Junior Suites, 4 Senior Suites and 2 Royal Suites.